Still Photographer Justin Lubin took to Instagram to reveal that production has officially wrapped on Annabelle 3 the sixth film in The Conjuring Universe. Directed by Gary Dauberman, the film is set to debut July 3, 2019. The untitled Annabelle 3 will once again center around the titular demon doll but this time she is already under the possession of paranormal investigators Ed and Lorraine Warren. Mckenna Grace will play the role of Judy Warren, daughter of the paranormal investigating couple who is targeted alongside her two teen babysitters by the demonic doll after they bring it home into their artifact room. Madison Iseman and Katie Sarife are set to play Judy Warren’s babysitters. The Conjuring universe includes both James Wan-helmed Conjuring films, the first Annabelle spinoff and its sequel Creation, and the recent blockbuster The Nun. It was announced last year that plans are underway for another feature film based on The Conjuring 2‘s Crooked Man, while a third Conjuring film is also being developed. 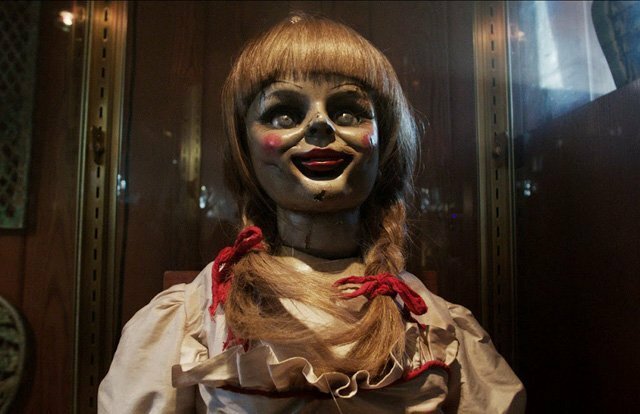 Gary Dauberman, the writer behind the spin-offs, will make his directorial debut with the new Annabelle film. Dauberman also wrote The Nun, which opened in theaters on September 7. He also penned New Line’s massive hit It and is working on the follow-up, It Chapter Two, as well. James Wan’s Atomic Monster and the Peter Safran Co. are again producing the third film with Atomic Monster’s Michael Clear to executive produce. John R. Leonetti directed the first spin-off, which earned $257 million on a $6.5 million budget, while 2017’s sequel was directed by David F. Sandberg and made $306.5 million worldwide on a $15 million budget. That’s a wrap on Annabelle 3!! What a great cast and crew! !